One of South Africa’s top multi-sport events, the BIG5 SPORT CHALLENGE, will take place during the Pick n Pay Knysna Oyster Festival from 1 – 10 July and offers the unique opportunity to experience some of South Africa’s most spectacular natural scenery while enjoying the sport you love.  A number of elite athletes have confirmed their participation in this year’s challenge including Stuart Marais, Theo Blignaut, Dean Hopf, Andrea Steyn and Carla van Huyssteen. These athletes eat, sleep and breathe triathlons and are no strangers to the blood, sweat and tears. They are definitely competitors to look out for! Stuart Marais: With four BIG5 titles under his belt, Stuart Marais is a serious contender. Marais started his multisport interest during varsity, purely for the love and enjoyment of being active. Five years ago the discipline became not just a passion, but his career and he has enjoyed every minute of it. Theo Blignaut: The young multisport sensation, Theo Blignaut, has his life rooted in the sport and his athletic beginnings were hatched while he was an active child running around on his family farm. Having fallen in love with Knysna’s beautiful setting on previous visits, Blignaut is excited to be part of this year’s BIG5 SPORT CHALLENGE and is seen as the likely threat to defending champion Stuart. Dean Hopf: With his enviable background in cycling, Dean Hopf perceives multisport as a lifestyle choice. By constantly challenging his boundaries, the sport gives Dean something new to experience on a daily basis while enjoying the outdoors. Hopf expects the competition to be fierce at this year’s challenge as interest in the event is constantly growing. He is looking forward to a great week of flat-out racing and appreciating some time out in one of the best spots in South Africa. Andrea Steyn: In last year’s ladies BIG5 SPORT CHALLENGE, the one point variance in the final scores was telling of the massive struggle that took place between Andrea Steyn and Carla Van Huyssteen. Steyn’s drive and commitment to the sport she loves is quite evident and running has always been her strength. Andrea won the 2015 ladies BIG5 SPORT CHALLENGE, trail run, the Xterra, and the 21 km marathon and clocked the race in 1 hour 23 minutes and 44 seconds. Carla Van Huyssteen: Petite powerhouse Carla Van Huyssteen exhibits an outstanding athletic talent that has allowed her to conquer several sports including road running, trail running, triathlons, mountain biking, road biking as well as adventure racing. Van Huyssteen completed last year’s race in 1 hour 30 minutes 15 seconds and plans to be back at this year’s event ready to fight again.